Current thinking about Parkinson's disease is that it's a disorder of mitochondria, the energy-producing organelles inside cells, causing neurons in the brain's substantia nigra to die or become impaired. A study from Children's Hospital Boston now shows that genetic mutations causing a hereditary form of Parkinson's disease cause mitochondria to run amok inside the cell, leaving the cell without a brake to stop them. Findings appear in the November 11, 2011 issue of Cell. Mitochondrial movement is often a good thing, especially in neurons, which need to get mitochondria to cells' peripheries in order to fuel the axons and dendrites that send and receive signals. However, arresting this movement is equally important, says senior investigator Dr. Thomas Schwarz, of Children's F.M. Kirby Neurobiology Center, because it allows mitochondria to be quarantined and destroyed when they go bad. "Mitochondria, when damaged, produce reactive oxygen species that are highly destructive, and can fuse with healthy mitochondria and contaminate them, too," Dr. Schwarz says. "It's the equivalent of an environmental disaster in the cell." Studying neurons from fruit flies, rats, and mice, as well as cultured human cells, Dr. Schwarz and colleagues provide the most detailed understanding to date of the effects of the gene mutations, which encode the mutated forms of the proteins Parkin and PINK1. They demonstrate how these proteins interact with proteins responsible for mitochondrial movement -- in particular Miro, which literally hitches a molecular motor onto the organelle. Normally, when mitochondria go bad, PINK1 tags Miro to be destroyed by Parkin and enzymes in the cell, the researchers showed. When Miro is destroyed, the motor detaches from the mitochondrion. A new potential target to slow breast cancer tumor progression and metastasis has been identified by a team of researchers led by Dr. Richard Kremer from the Research Institute of the McGill University Health Centre (RI-MUHC). 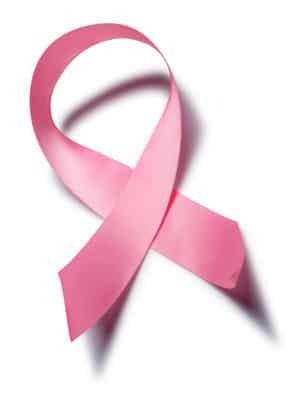 Complications in breast cancer patients are commonly caused by the spread of the disease through metastasis to other parts of the body, most often to the bones and lungs. The new findings, published online on November 7, 2011 in the Journal of Clinical Investigation (JCI), suggest that a specific protein plays a key role in the progression of the disease outside of the initial tumor area. Researchers showed that this particular target, called parathyroid hormone-related protein (PTHrP), present at high levels in cancers, is involved in key stages of breast cancer initiation, progression, and metastatic spread in mice. "We are hoping for a significant effect on the prevention of breast cancer recurrence, growth, and development by using a strategy to decrease the production of that particular protein," says Dr. Richard Kremer, co-director of the Musculoskeletal Axis of the RI-MUHC and a professor in the Department of Medicine at McGill University. To better understand the role of PTHrP in cancer development, researchers eliminated the production of the hormone from mouse breast cells using a strategy called "conditional knockout" and then studied the progression of the tumor. "The results showed that without the presence of PTHrP in the breast, even before the tumor developed, a reduction of 80 to 90 per cent in the growth of the tumor was observed," explains Dr. Kremer. "The removal of this hormone in the breast and breast tumors blocks not only the growth of the tumors, but also its spread to different organs." In order to bring this strategy one step closer to the patient, Dr.
A honey bee becomes a royal queen or a common worker as a result of the food she receives as a larva. 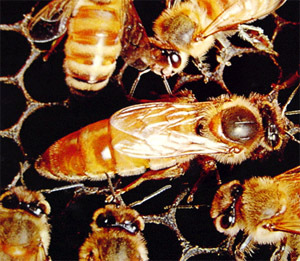 While it has been well established that royal jelly is the diet that makes bees queens, the molecular path from food to queen is still in dispute. However, scientists at Arizona State University, led by Adam Dolezal and Dr. Gro Amdam, together with colleagues at other institutions, have helped reconcile some of the conflicts about bee development and the role of insulin pathways and partner proteins. Their article "IRS and TOR nutrient-signaling pathways act via juvenile hormone to influence honey bee cast fate" has been published in the December 2011 issue of the Journal of Experimental Biology. Central to the dispute within the scientific community about "who would be queen" has been a ground-breaking study published in the journal Nature in 2011 by Japanese scientist Dr. Masaki Kamakura of the Biotechnology Research Center, Toyama Prefectural University. He found that a single protein in royal jelly, called royalactin, activated queen development in larval bees through interaction with an epidermal growth factor receptor (EGFR). Dr. Kamakura's work suggested that insulin signals do not play a role in queen development, despite previous studies suggesting otherwise, including work pioneered with the insulin receptor protein by Dr. Amdam's group. Undeterred by Dr. Kamakura's findings, Dolezal, a doctoral student, and Dr. Amdam, a Pew Biomedical Scholar and professor in ASU's School of Life Sciences, looked for ways to resolve the disparity between the research studies. Amdam's team's first step involved taking control of the insulin receptor's partner protein, IRS, which the insulin receptor relies upon for signaling.